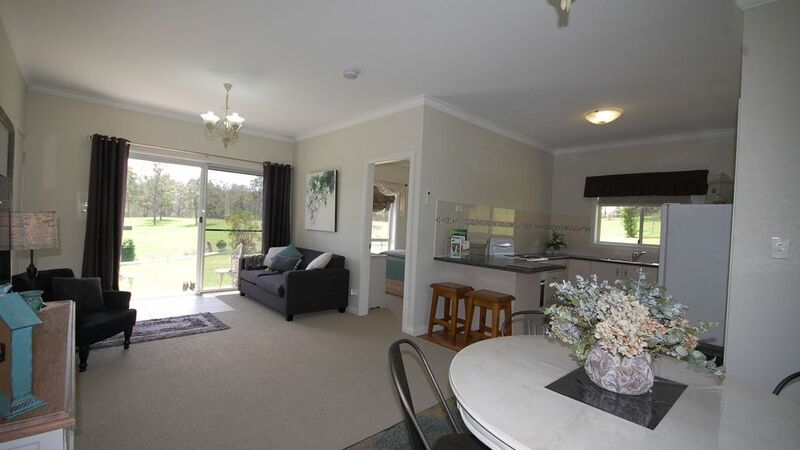 We welcome you to come and relax in a lovely, rural setting surrounded by farms near the Manning river. The accommodation has a Queen bed in main bedroom and sofa-bed for up to 2 extra guests in the studio. Standard price is based on two adults. It is a short 5 mins drive from Wingham, where you can browse in quaint boutiques, enjoy unique coffee shops, and wander through the Wingham Brush. Take a short 20min drive to the beach or if you like to go bush--- the famous Ellenborough falls are only 50 mins away .Curl up with a good book on the patio or have a BBQ under the Wisteria. Enjoy the manicured gardens around the cottage. We are located a short 3.5 hrs north of Sydney. Come and enjoy your stay with us ! The property and accommodation is as beautiful as the promotional photos suggest, even more so. A highlight for me was the rain cleansed landscape, in very late afternoon, down across the Manning River valley, following on and up to the Barrington Tops mountain range in the distance, with lightning playing softly, hide and seek amongst the clouds on the horizon. Add in the fresh fragrance of earth and breathe the clean country air…… highly recommend you try it. We had the best stay with Lyn and Peter (and Walter the farm dog!) at Little Britton. The accomodation was so lovely and we had everything we needed. Lyn and Peter were the perfect hosts and nothing was too much to ask of them - including help changing a true. We would love to stay again. We have stayed here once before. Lyn and Peter are lovely hosts. Very comfortable cottage with pretty gardens & views. A bbq in a rose surrounded courtyard. Air conditioning was a blessing on a very hot weekend. We thoroughly enjoyed our stay. The flat is beautifully furnished and immaculate. The surrounding countryside is beautiful and our dog Max enjoyed his time. We loved it so much we have already booked for next year. Very very clean and tidy - plenty of cooking utensils. Enjoyed our stay - wished it was longer. Many thanks to Lyn and Peter and we hope to be back.